The track list includes the original 11 cuts plus 5 previously unreleased alternate takes. The album is a slice of time highlighting the very moment when an amalgam of soul, blues, rock and touring music reviews were changing the makeup of the mainstream American music scene. The music was embraced by a wider expanse of the public – no longer pigeonholed as “race records” or limited to live performances on the “Chitlin Circuit." It was described by King Curtis as a "Soul Stew." In the early 60’s the Kings in my white bread life were The King Family Show and borscht belt comedian Alan King on the Ed Sullivan Show. The “King Cousins” were a bevy of blond Mormons who were fodder for my adolescent lust and the caustic wit of Alan King provided one liners guaranteed to entertain classmates and torment adults for years to come. Then popular culture changed fast – the period from 1964 to 1969 evolved more than any comparable period in my life. The radio went from playing Pat Boone doing “Tutti Frutti” to Little Richard singing his own song. Suddenly there was a revolution (or do you call it evolution?) and the new Kings were B.B. , Freddie and Albert. Albert King was my favorite. His importance can judged by the guitarists he influenced - Mick Taylor, Eric Clapton, Joe Walsh, Michael Bloomfield. Stevie Ray Vaughan and Derek Trucks. All incorporate licks we first heard from Albert. Joe Walsh who spoke at Albert’s funeral said, "There are a lot of hot guitar players out there today who can fly all over the fretboard in all kinds of amazing ways, like Eddie Van Halen. But Albert King could blow Eddie Van Halen off the stage...with his amp on standby!" Eric Clapton slavishly pays homage to Albert in early recordings by Cream. Michael Bloomfield once famously asked Eric Clapton if he was paying royalties to Albert for the leads Eric played on “Born Under a Bad Sign” and “Strange Brew.” Bloomfield said Albert was a master “who could say more with fewer notes than anyone I’ve ever known.” Check the out the original and compare it to Eric’s tribute. On the DVD about the making of Disraeli Gears, Clapton mentions how he agreed to do "Strange Brew" because even though it sounded like a pop tune, they let him play an Albert King-style solo over it instead of a pop solo. You can hear the original “Albert King-style” in King’s “Personal Manager. Buy this record here. You should have it in its full sonic glory. I have two vinyl copies. Neither can be played now without destroying the stylus on the turntable. I bought the first when the album came out in '67. I heard the title track late at night on a pocket transistor radio on WDIA, 50,000 watts of AM clear channel blasting throughout the eastern US. Then I bought it used from "one-armed John Rencher" – the penultimate Maxwell Street harp player. He was in the Wednesday night house band when I bartended at Vegetable Buddies in South Bend, Indiana. John took my blues education personally. 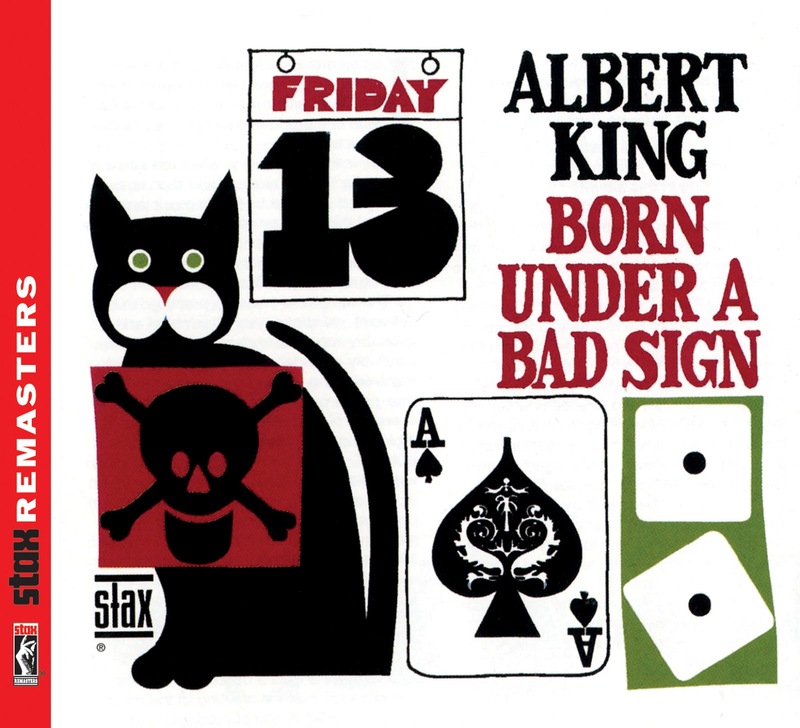 The first record he ever brought me was Albert King’s Born Under a Bad Sign. John was spot on. Once again it is time for a replacement. From its opening notes until it ends less than half an hour later, Someone for You, the debut album from Warm Soda, immerses the listener in up-tempo songs full of glammy power pop hooks. And I dare say, unless you are mostly dead you will be very happy to swim in Warm Soda's pool. The set up is simple enough -- a quartet consisting of Matthew Melton (vocals), Chase Oren (bass), Rob Good (guitar) and Ian McBrayer (drums) and the sound is classic. From the punky garage of opener "Violent Blue" to the power pop of the title track to the deliciously gritty bubblegum of "Jeanie Loves Pop", these are the sounds we anticipated from our radios when ... well ... back when we paid attention to radios. The songs are just long enough to make an impression, and never so long as to wear out the welcome for the simple melodies. And you didn't mind the narrow playlists because the songs were songs that you wanted to hear often. This is music to play in your car with the windows down on that first day of real spring. And we always need music like that. Matthew Melton founded Warm Soda soon after his former band, Bare Wires, suffered a messy on-stage break up at SXSW 2012. In a short time, he announced the new project, and a year later we have physical evidence that all is good in Matthew's musical world. And that makes things better in our musical world. Someone for You is out now on Castle Face Records. 2013 is proving to be the year of the long awaited (for me at least) Camper Van Beethoven resurgence. They were always ahead of their time so I suppose this makes perfect sense. Camper released a new video this week of one of the best songs on their fine new CD La Costa Perdida, which we reviewed here in January. The video reflects the creative spark and skewed eye for life's strange little corners which have long made this band such a joy - e.g. factories on the beach (really, did they have to put it there? ), violin playing under palm trees, and the greatest of all Americana - driving on the freeway very fast. And the song "Someday Our Love Will Sell Us Out" is psychedelic and beautiful. Camper Van Beethoven have also announced more tour dates. I saw this show recently in Portland and it was a joy ride. I've been seeing this band for nearly 30 years and spent most of the night grinning from ear to ear (except at those moments where I was muscling past the bearded young hipsters half my age to quickly get another drink at the bar). If you love raucous power pop with great energy, a plenitude of hooks and a genuine sense of fun, then the five-track, self-titled, EP from New York's Team Spirit should be first on your list for your April 9 trip to the record store. The bass lines are wonderfully thick, the two-guitar attack shredtastick, and the vocals combine glam half-scream with power pop choruses. An up-tempo party album for 2013? Sure, thanks to your about to be overworked repeat button. Ayad Al Adhamy, who has toured with Passion Pit and runs his own indie label (Black Bell Records) apparently formed Team Spirit to get back to his guitar rock roots. I hope he likes how the project has evolved, because I certainly do. Team Spirit is Ayad Al Adhamy (lead vocals/guitars), Cosmo Kilburn DiGiulio (guitars), Roman Tobias Pettigrew (backing vocals/bass), and Mike Addesso (drums). The EP is released on Vice Records. Next to You will be released by Relentless Records. Friday Nuggets "tack-on" post: Roky Erickson - "Goodbye Sweet Dreams"
And here is a link to Okkervil River leader Will Sheff's website, with a post from December 2012 featuring more information about the long, sad tale. You ought to buy this record. ... the guitars are spectacular, and it seems each song features more soaring leads than the one before. There is a series of songs in the middle of the record - "Internal", "Language of the Waves" and "Memorytraces" - each between 4:40 and over 6:00 - that remind me of nothing quite so much as the music of Swervedriver and My Bloody Valentine. The singer's voice is a bit reminiscent of Adam Franklin's, and the guitars soar, swirl and just kind of drown you in the sound. We're back to recommend it, as it is out this week, and to let you know about some upcoming tour dates. May 10 - Brooklyn, NY - Union Pool #! You can stream and buy it at Bandcamp, or find out more at their website. 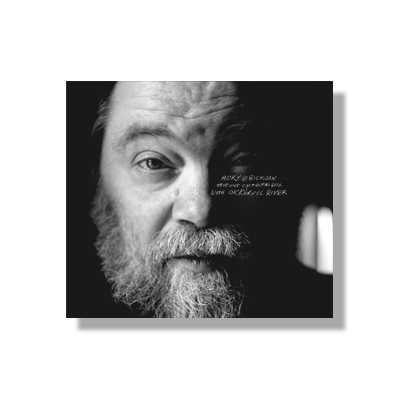 The story of Roky Erickson and the 13th Floor Elevators is a rich but profoundly sad one, and the subject of a very fine biography Eye Mind: The Saga of Roky Erickson and the 13th Floor Elevators. Some say Erickson coined the term "psychedelic rock" and credit The 13th Floor Elevators with inventing the sound. But the Texas police didn't appreciate the band's aesthetic and hounded them, eventually sentencing Erickson to prison for years for the possession of a single marijuana cigarette. Erickson entered a mental health facility instead where he was subject to electro-shock therapy which profoundly changed him. The 13th Floor Elevators were hardly a one hit wonder and had a many terrific songs due to Erickson's fantastic songwriting. Any serious fan of garage or psychedelic rock should own a collection of their music. Today's jangle pop offering is from Army Navy, which is busy preparing their third LP. Stream "Pickle" here, and download it if you like it. Then put Army Navy down on your list of bands to which you should pay attention. Power pop like this doesn't go out of style. This debut album from Helsinki's Black Lizard should thrill all of us who enjoy psychedelic rock. And drilling down a bit, if you love the use of guitars by The Jesus and Mary Chain and Brian Jonestown Massacre, this self-titled record is the 2013 release you have been waiting for. Black Lizard begins with the stately drone rock of "Honey, Please". Then things get faster, fuller and heavier with "Boundaries", followed by two tracks that could be claimed by the brothers Reid -- "Dead Light" and "Love is a Lie". The next two tracks, "New Kind of High" and "Some Drugs" feature dirty, distorted guitar licks that call to mind BJM, so you might be interested to know that Anton Newcombe assisted Black Lizard with the album. "Some Drugs", in particular, is a deliciously urgent song. In my opinion, Black Lizard is a very impressive debut -- a nine-track statement that there is a new guitar rock band that intends to leave their mark. Black Angels are Paltsa-Kai Salama (vocals, guitar), Joni Seppänen (guitar, synthesizer), Lauri Lyytinen (bass), and Onni Nieminen (percussion). The album is released on April 5 in vinyl, CD and digital formats by Soliti Music. Well, that title may generate hits from some lost internet searchers. I hope we don't disappoint, but maybe they'll appreciate the tasteful and varied soundtrack for other activities. We recently featured a song written by John Blaylock aka Franco and the Dreadnought and Mercury Prize nominee Kathryn Williams. It seems that the fruitful writing session produced this gem as well. So enjoy "Where I'm Calling From". I'm not certain that I had much company when I named the self-titled album by Finland's The New Tigers one of my top albums of 2012. But both then and now I feel comfortable with the choice. These guys write greats songs, have a great sense of melody, and wrap it all together in a fuzzy guitar package. For those who agree with me, and for the rest of you who are now willing to concede that I'm right, you have a second bite as The New Tigers plan to release their second LP late this summer on Soliti Music. In advance, they have provided "Quicksliver", which gives you a hint of what they've been doing in the studio. The alert reader will note that it is available to download. We featured Telekinesis recently (WYMA post here), and have been spending some time with the new one, Dormarion. It's a terrific guitar rock/power pop record. 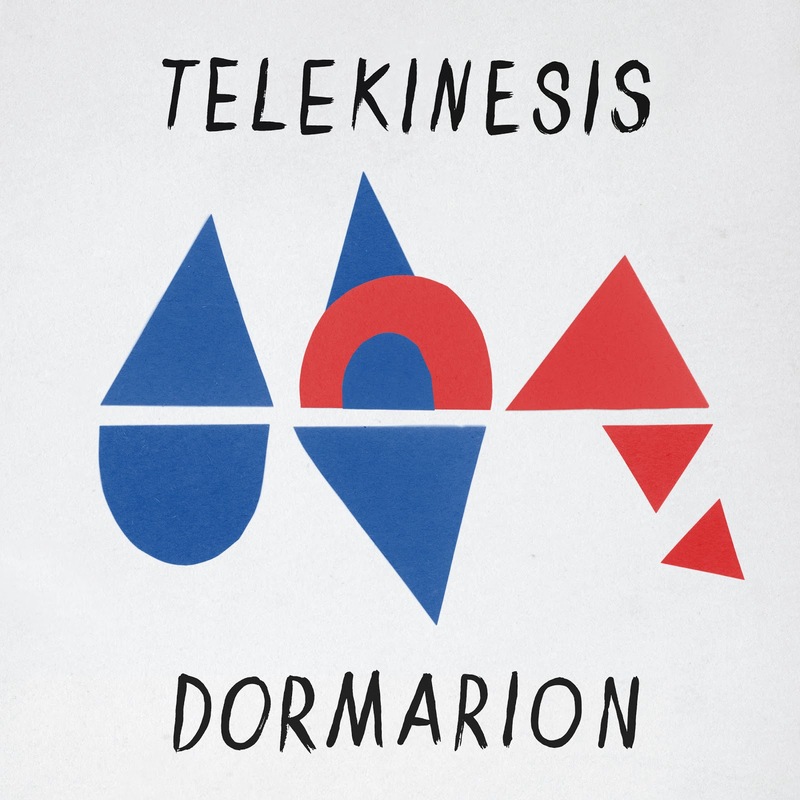 Telekinesis is one guy, drummer (and vocalist, guitarist, and everything else) Michael Lerner. He's a Seattle resident, but recorded this record with Spoon drummer Jim Eno at Eno's Hi Fi Studio in Austin. It's a really pretty song - anthemic chorus, with just the right amount of reverb, and perfectly arranged instruments combine to make music that's very listenable, but has enough of an edge to be memorable. Lerner's got one of those perfect power pop voices, and of course the music is extremely well-anchored - he's a drummer. What remains? Mostly a bunch of really catchy keyboards and guitar lines. But, again, it's not all glossy and smooth. "Wires" features some kind of jagged guitar lines and a kind of ragged approach, and it works. The ballad "Symphony" is well-sung and presents a good counterpoint to the super-catchy stuff and the more raucous stuff. The record is well-sequenced and the songs are layered and assembled impeccably, really - kudos to both Lerner and Eno. You can currently listen to the whole album, streaming over at NPR First Listen. And you can learn, listen and order the record at Merge Records. Bands choose a focus or, at least, their fans and critics decide which attribute is dominant. Thus some indie music is known more for the guitars, or synths, or attitude. For Dublin's Little Green Cars, it is about the vocals. Favored with talented male and female leads, and quality backing vocals, the band's songs soar, weep, rage in remarkably vibrant fashion. Although Little Green Cars have been existed since 2008 (forming when they were 15 years old), their star is rising by virtue of a 2013 SXSW appearance, a US tour and, most importantly, their fine new LP, Absolute Zero. As a debut album, Absolute Zero accomplishes everything it needs to with room to spare. From the glorious pop statement of opener "Harper Lee" to "Big Red Dragon" to the dramatic statement on romance that is "The John Wayne" ("It is easy to fall in love, it is easy to fall in love with you", later becomes "It is easy to hate yourself, while all your love is inside someone else"), the band manages to make heart-on-your-sleeve a battle cry rather than a cliche. And that alone would make the album a success, but it is just part of the story: Good songs, sincere performances and, of course, those vocals. Little Green Cars "Big Red Dragon" from IndieMix on Vimeo. Little Green Cars are Stevie Appleby (vocals, guitar), Faye O’Rourke (vocals, guitar), Donagh Seaver O’Leary (bass, vocals), Adam O’Regan (guitar, vocals), and Dylan Lynch (drums, vocals). They are in their early twenties. Absolute Zero is out now on Glassnote Records. 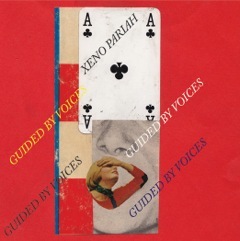 New Singles from Guided by Voices - "Xeno Pariah" b/w "Jimmy the Giant"
Out today, the latest from Guided by Voices is a new song, combined with a very very old song. "Xeno Pariah" is an advance track from the upcoming album English Little League, and "Jimmy the Giant" is a reworking of a song that apparently dates from 1974. The title cut is a fairly typical Pollard catchy lo-fi single - a low, growling vocal and a jangly guitar line. The B side is a gem, but it's not for everyone. But for who it's for (the faithful) it is a joy. You can get it at GBV Digital - looks like the physical is sold out at the Factory of Raw Essentials... maybe you can have some luck on the aftermarket! In other, related news, English Little League (due out April 30) is available for preorder, at GBV Digital and The Factory of Raw Essentials. Taureg singer/guitarist Omara "Bombino" Moctar has released his third album: Nomad. The cover art - a wildman screeching away on his motorcycle, long scarf trailing in the breeze - gives some sense of the full-throttle proceedings inside the record. It's a session in which superstar producer and world-class rock guitarist Dan Auerbach (at whose Easy Eye studios the album was recorded) plays the role of facilitator and enabler. It appears that Auerbach only plays on one song, the joyous "Niamey Jam", but he clearly gives Bombino room, encouragement and the space to spread out and take these songs wherever they lead. Moctar was nicknamed "Bombino" by one of the approving musical elders who helped guide him on his improbable journey from refugee to shepherd to Auerbach's Nashville studio. Tradition and heritage being very important to Bombino, you will hear echoes of other Taureg music and even song titles. But he's also a man of the 21st century, and after all his travels and travails, a fairly cosmopolitan citizen of this very small YouTube world we live in, so the album resounds with echoes of European and American guitar heroes like Mark Knopfler, Jimi Hendrix and Richard Thompson. Knopfler and Hendrix are mentioned specifically as influences, artists whom Bombino was exposed to by friends playing him videos. I would be surprised if he wasn't also exposed to Thompson, but even if not, I find a lot of similarities between their sounds - in a most enjoyable way. And here's a short summary of his amazing journey, from the information on the Nonesuch website which accompanied this release: Before 2009, Bombino was little known outside Saharan Africa, where his career consisted of regionally available cassettes and roles in local bands. Born and raised in Niger, in and around the northern city of Agadez, Bombino is a member of the Tuareg Ifoghas tribe, a nomadic people descended from the Berbers of North Africa. The Tuareg people have fought the Niger government to secure their rights on numerous occasions, causing Bombino and his family to flee several times. During one such exile, relatives visiting from the front lines of the rebellion left behind a guitar and Bombino began teaching himself to play it. He eventually studied with the renowned Tuareg guitarist Haja Bebe, who asked him to join his band, where he acquired the nickname Bombino—a variation on the Italian word for “little child." Bombino worked regularly as a musician and also as a herder in the desert near Tripoli, spending many hours alone watching the animals and practicing his guitar. Nomad is a tremendous record - sure to be treasured by world music fans and anyone with an appreciation for blues-based guitar rock. Bombino's enthusiasm and talent are pretty much irresistible. You can learn more, listen to songs and order the record at the Nonesuch website. Ted Joyner and Grant Widmer of Generationals have long displayed an indisputable genius for pop hooks. But I think their new album, Heza, amplifies several positive hallmarks of this New Orleans' duo. First, an understanding that sometimes restraint underscores the quality of the hooks. Second, this album displays a defter touch for the texture of the music around the hooks. Third, and this is the ultimate triumph of Heza, rather than trying to prove they could do something different, they chose to do what they always did well, even better. Heza is out today, April 2, on Polyvinyl Records. REVIEW: Billy Bragg, "Tooth & Nail"
This is a departure from Bragg's British agit-punk/folk style. Tooth & Nail is steeped in Americana, largely acoustic, with a very warm, organic sound that fits these songs extremely well. And Bragg's singing is remarkably direct, as he speaks right to the listener, as reflected in the video above for "No One Knows Nothing Anymore". The production by WYMA favorite Joe Henry is exquisite. Henry likes to work quickly, this record reportedly made in 5 days, and he achieves an immediacy here, especially in the vocals, that brings a power to these songs that transcends decibels. Greg Leisz - guitars, mandolin, Dobro, etc. The overall feel is closer to American folk and country than the blues-jazz feel of Henry's own records, but it's unmistakably a Joe Henry production. Nearly every song finds a man searching for meaning in mid-life. It's works well and stays with you, much like a collection of Richard Russo or Richard Ford short stories. The men in these songs come to grips with their failings and ask questions like "How can a man be strong if he can't even lift a telephone and says he's wrong?" ("Swallow My Pride"). And the difficult times are getting to them: "I'm so tightly wound in tension, feel just like a guitar string." ("January Song"). There is even a classic country song in the style of Tom T. Hall or George Jones, "Chasing Rainbows", which begins "The wheels have come off again and the fault is all mine." And speaking of Americana, there's a fine cover of Woody Guthrie's "I Ain't Got No Home," where the subject of the song drifts from town to town, looking for work. But if you are saying, hold on there, what do I want with a Billy Bragg record without some political bite, then don't fret, as you do get "There Will Be A Reckoning", which addresses the issues of the day and has more of a rock feel than the other songs here. Tooth & Nail is a bold record, a major artist throwing down, taking risks and getting deep into the writing, the songs and the performances. It's way too early to declare that this will top my Best of 2013 list, but it's not going to be easy to get past it. It doesn't matter how desperately a band wishes to remain anonymous. If your influences are The Bats, The Clean, The Feelies, UV Race, Woollen Kits, Thee Oh Sees and other bands from the northern and southern hemispheres that we favor here, and you write and play well, we will find you. 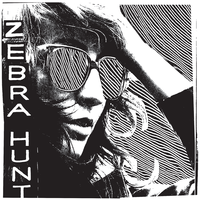 So, here we are with the cool new release from Seattle's Zebra Hunt. The Beaches EP is modest in size, but impressive in scope. In three tracks on vinyl (or digital download) Zebra Hunt provides a treasure chest for guitar lovers. The opening track is moody, woozy nugget of psychedelia expressing a longing for the beaches of LA that all of us can understand after a winter in Seattle. "Half Right" is a jangle pop delight focused on a relationship ("I'm only half right with you ..."). 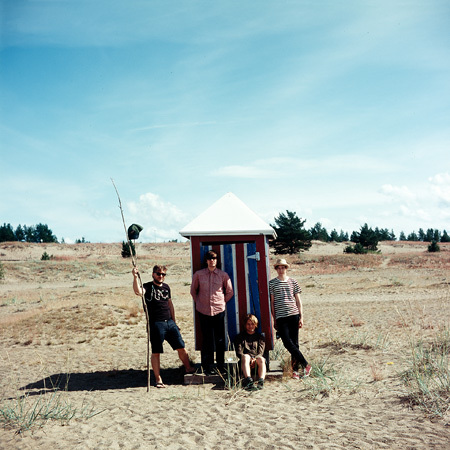 The record closes with the slightly country-flavored power pop of "Tomorrow". You can go on your own zebra hunt below -- just press play. You also can stream/buy at the Bandcamp link provided below. Zebra Hunt are Erik, Mitch and Robert. Remember them, as they will be thrilling us for a good while. Here is our previous post about the band (link). Beaches EP is available as of today from Minneapolis' Manic Pop! Records. Digital download alternative is here.